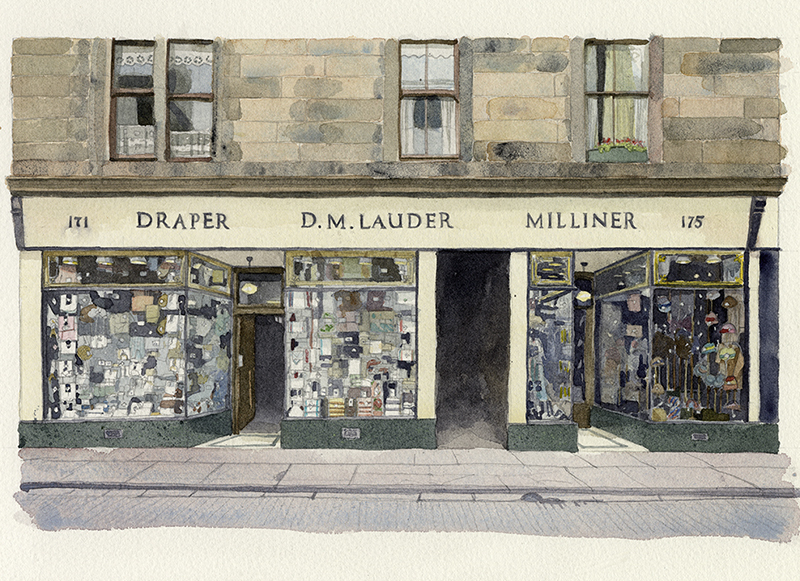 A recent commission of a shop front I’ve just finished. 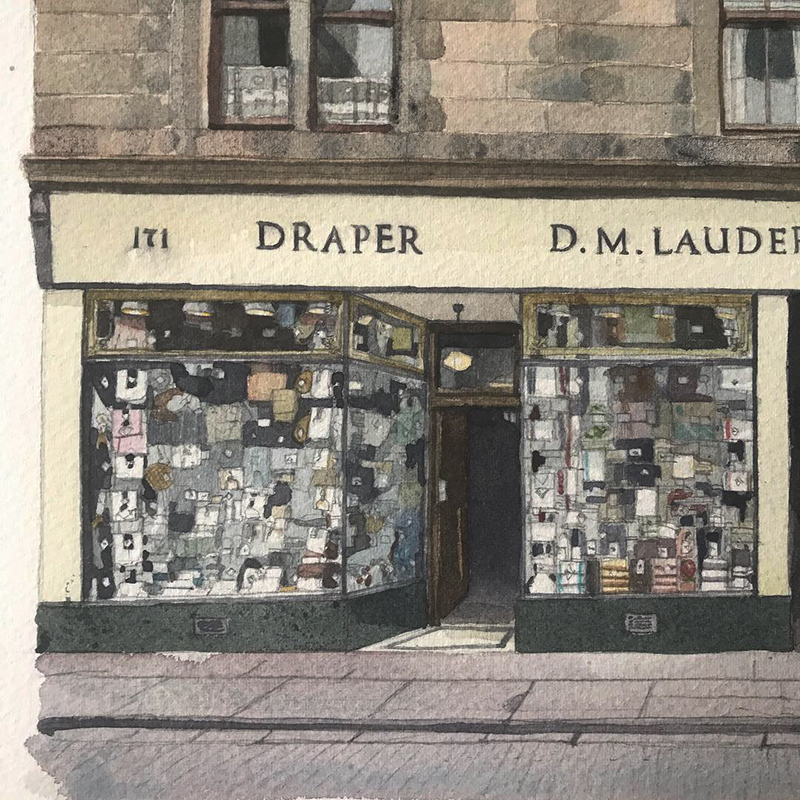 It was a real pleasure to do this, it was from an old black and white photo of a shop and street that no longer exists in Glasgow, I was asked to bring it to life. 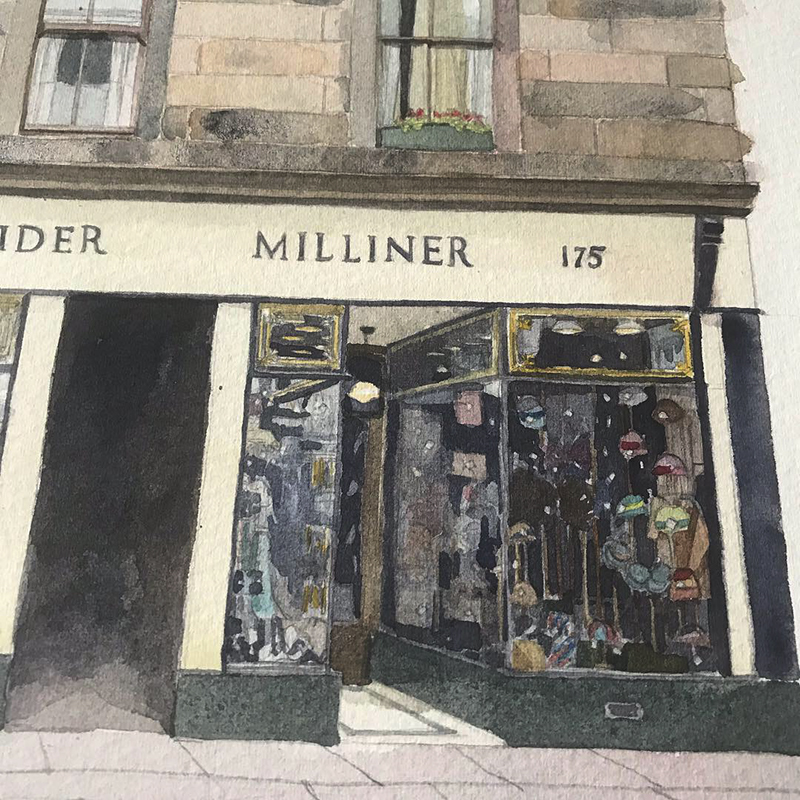 It was for someone who’s granny used to supply the hats for the milliner.